I’m so loving this episode! Finally, I’ve seen how Yang Guo got very, very, very, very angry. Haha! There’s a lot of sweet and cute Yu Ping-Yang Guo scenes. A parade of kissing scenes as well. But the best kiss is between Yu Ping and Ke Zhong. Haha! And I’m so boost up watching Zhi Hao and Yang Duo’s heart-to-heart talk. Yay! And lastly, I can’t help but commend Ke Zhong for a gentlemanly performance. For me, he’s the best second male lead ever! DWL Episode 15 starts-off with Yu Ping frustratingly thinking of the near-kiss experience. He continues to feel bad, considering it was that dratty close! But then again, the show must go on and he continues with the regular staff meeting. Good news seems to rain like gum balls for Yu Ping since their new case proves to be a piece of cake. Yu Ping asks Yang Duo to photocopy some docs. And while she’s away, the other staff nosily asks Zhi Hao about the progress in his relationship with Yang Duo. Zhi Hao smiles timidly. To avoid any confusions, I’ll just call the staff A, B, C, so on and so forth. Staff A complains he lost quite a bit of betting money just because Zhi Hao is not doing his best. Yu Ping lends Zhi Hao some hand and reprimands Staff A, he even suggests to stop betting and help Zhi Hao instead. Staff B jokingly replies that pursuing Miss Yang is truly a Miss-Yang-Possible, a name-spoof of the movie Mission Impossible. Implying that wooing her is as impossible as fixing the hole in the ozone layer. Hahaha! Yu Ping and the staff laughs. Staff C then shares a 100% infallible tactic- the Fake Illness Trick. Some of the staff aren’t convinced though. But Staff C reasons that women innately love to take care of things. Thus, if a man fakes vulnerability the woman’s maternal instincts will naturally turn into love and compassion. He even brags that he stole his wife’s first kiss because of that. Staff B bets that Yang Duo will not fall for that trick coz she already sold her maternal instincts online. Hahaha! Zhi Hao and Yu Ping laughs along but deep inside they apparently consider the odd trick. Zhi Hao tries to test the waters and casually asks Yang Duo on what she’ll do if ever he’s running a fever. Yang Duo frankly tells him that she’ll call the Minister of Health to place him in quarantine. Hahaha! Zhi Hao seems to expect her answer though. When he bids to continue working, Yang Duo receives a disturbing fax message. It seems like Yu Ping is not the only one thinking too much about the near-kiss. Yang Guo is a bit bothered about it too. She even ridiculously imagines the kiss with a meat bun. Daddy Yang sees her bizarre behaviour and worriedly asks what happened. Yang Duo defensively retorts that nothing happened between her and Yu Ping. Her rather self-conscious answer gets Dad Yang’s complete attention and teasingly pry. Before he grills her with his persistent questions, Yang Guo gets a phone call from Yu Ping. Yu Ping mulls over the Fake Illness trick and put it into action. He calls Yang Guo and pretends to be sick. He feigns hyperventilation and further exaggerates that his pupils are dilated. Hahaha! Boys! They’re just too cute when in love, aren’t they! Of course, Yang Duo is panic-stricken and decides to come by and take him to the hospital. Yang Duo anxiously tells Dad Yang about Yu Ping’s sickness and hurriedly prepares to take off. Dad Yang mumbles that though Yu Ping is a good lawyer, he’s still a greenhorn when it comes to swindling. Hahaha! Seriously, when a person is hyperventilating and his pupils are dilated that means he’s about to die, right?! Yang Duo seems to forget something and went back inside. What else would she forget? Of course her hair clip! Duh?! Dad Yang yells: “And if he really can’t make it, just use your clip to pinch him a little and he’ll feel much better then”. Haha! On the way, Yang Guo remembers the time when Yu Ping says she’s cute wearing a hair clip. She smiles. Ahh! So that’s what the clip is all about. Outside Yu Ping’s house, Yang Guo bumps into Yang Guo and Zhi Hao. The two sisters were kinda puzzled seeing each other there. Yang Guo explains that she received a call from Yu Ping saying he’s sick and all. Yang Duo wonders why two people seem to take ill after the meeting and looks at Zhi Hao suspiciously. Zhi Hao reasons that it’s because of the polluted air. Though a tad reluctant, Yang Duo tells Yang Guo about Ke Zhong’s financial problems. She shows Yang Guo the fax message stating that the creditors want to seize the Qi family’s properties in Taiwan. Yang Guo worries about Ke Zhong and goes off hurriedly. Before Yu Ping gets busted by looking too normal, he puts on his disguise- a mask and a sunglass! Haha. I understand the mask, but the sunglass? He excitedly opens the gate, just to be greeted by Miss Yang and Zhi Hao. He immediately takes off his mask when Yang Duo asks about his guise. He automatically reasons that it’s because the sun is too strong. Zhi Hao laughs silently in the corner. Haha! Somebody knows that somebody is faking it. Yang Duo explains that her sister went off for an urgent matter and tries to touch Yu Ping’s forehead to test his temp. Before she could do so, Zhi Hao butts in and reminds her of the documents. Yu Ping seems to be troubled after reading the papers. Yang Guo rushes to Ke Zhong’s office. He greeted her with a ready but a rather fake smile. She honestly tells him that she already knows about his family’s situation and offers some help, more like some comfort. Ke Zhong assures her that it’s not that serious. Just in cue, Ke Zhong’s mom comes for a visit. She happily greets Yang Guo and excitedly tells her that the reason she’s in Taiwan is to settle Yang Guo and Ke Zhong’s wedding and to meet with Yang Guo’s father. Yang Guo is rather stunned. Ke Zhong wants to tell his mom the real deal, but Yang Guo cuts him off saying that they already talked about it and decided that it’s too early for a wedding. Qi Ma Ma is a bit disappointed and demands to know why. Yang Guo replies that it’s because her father is traditional and doesn’t want that she marry before her elder sister. Still, Qi Ma Ma insists on having a meal with her son’s “future father-in-law”. Thinking of Qi Ma Ma’s wellfare, Yang Guo agrees. Yang Guo’s gas tank is running low, and so, Ke Zhong ends up dragging her motorcycle in the nearby gas station. On the way, Ke Zhong expresses his gratitude for Yang Guo’s concern and for keeping Qi Ma Ma’s pride intact. Yang Guo worriedly asks if they still have enough money to cover for their expenses. 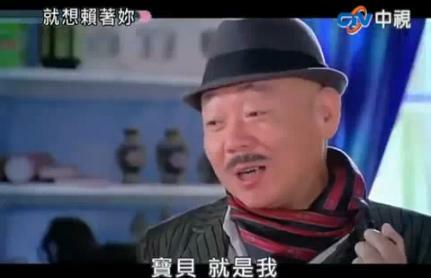 Ke Zhong confidently says the he didn’t really rely on his family for money in the first place. Moreover, his father offers divorce beforehand, making sure that he and Qi Ma Ma won’t be dragged paying the debts. As for their relationship, Ke Zhong promises that he’ll find an opportunity to properly explain it to his mom. Yang Guo kindly replies that it’s not an urgent matter to discuss and they shouldn’t do something that might upset Qi Ma Ma even further. Ke Zhong adds that though he doesn’t want Yang Guo’s pity, he still appreciates her care . Yang Guo nicely answers that she’s just returning his goodness and he should stop blaming himself. Their conversation is then interrupted by a phone call from Yu Ping. At the Yang’s, Yang Duo struggles to convince Dad Yang in having a meal with Qi Ma Ma and Ke Zhong. She tries various reasons but Dad Yang remains unmoved. Yang Duo comes to the rescue and out talks Dad , threatening him that if he wouldn’t agree he’ll have to pay the NT$1 Million debt from Ke Zhong. Dad is left with no choice but concede. Okay, so I was wrong. In Episode 13, I mistakenly thought that Ke Zhong and Yu Ping’s friendship will go down the drain because they became love rivals. But Episode 14 proves to be otherwise. With Ke Zhong facing a financial setback, Yu Ping is ever ready to extend a helping hand. Yu Ping explains that he only needs to buy some time while he thinks of something to help Ke Zhong getaway from the creditors. Ke Zhong politely declines, saying that he should bear his responsibilities. Yu Ping is aghast and convinces him that he doesn’t have to pay his dad’s debt coz all he has is the fruit of his own hardwork. Ke Zhong insists that he should try hard to clear his dad’s debt on his own, and he feels accountable for those creditors. Exasperated, Yu Ping grumbles that Ke Zhong and Yang Guo are so alike- both puts theirselves in pain than watch others suffer. Ke Zhong: But I still hurt her. Yu Ping: Because of Hui Fan. But you were the one suffering the most, weren’t you? Guilty and moved, Ke Zhong thanks Yu Ping and humbly admits that he shouldn’t be forgiven. Before he could explain further, Yu Ping gets a phone call. Yang Guo calls to ensure that Yu Ping is okay. She apologizes for not visiting and reasons that she has an important matter to attend to concerning the Qi family. Yu Ping answers that he’s feeling better- fakes a cough- and he understands. Yang Guo wants to say something but seems to be extra restless. She beats around the bush and Yu Ping kinda snap. 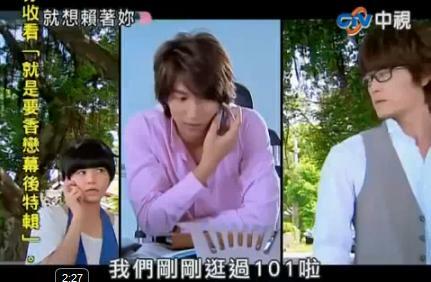 She nervously and speedily tells him that they shouldn’t tell Qi Ma Ma what happened and then hangs up. It happened so fast that Yu Ping is still stunned to comprehend what she said. Ke Zhong readily explains that Qi Ma Ma doesn’t know that he and Yang Duo broke up and modestly asks that Yu Ping understand that he’s not using Yang Guo’s kindness. Yu Ping swears that he doesn’t and changes the topic. First thing in the morning, Yu Ping gives Yang Guo a visit. Yang Guo is a bit petrified seeing him, she keeps her distance and tries to have a rather calm conversation. Somebody’s up for some scolding! But Yu Ping seems to be far from being calm and drags Yang Guo. Yang Guo attempts to avoid the dialogue but Yu Ping won’t be outsmarted. He clarifies if the phone call means that she and Ke Zhong will have to pretend being a couple. Yang Guo timidly confirms and deliberately assures that it’ll just be an act for Qi Ma Ma. She pricks his conscience and asks how can he hurt Qi Ma Ma during these depressing times. With a fierce glare, Yu Ping forces a casual reply: “Do I look like a petty person to you?” Hahaha. Unwillingly, Yu Ping consents but warns Yang Guo to keep the act on an acceptable level. Yang Guo seems not to understand. Yu Ping then gives an example using movie ratings: PG, PG 13 and Restricted. Yang Guo is rather dense and can’t seem to relate movies with dating. Yu Ping is forced to give her a lesson on the real-fake boyfriend do’s and dont’s. He asks for Yang Guo’s hand and holds it, saying that holding hands is a definite no-no. He hugs Yang Guo, implying that hugs are a no-no too. And not only that! He swiftly gives her a smack on the cheeks. Clearly, kisses are forbidden. Haha! Clever! He’s totally taking advantage of her! Yang Guo gives him a reply smack and asks if that is something she must only do with a real boyfriend. Yu Ping fancies for another kiss and says that it just happened so fast that he can’t decide. Haha! But Yang Guo is tad embarrassed and runs away. Yu Ping yells that he is still upset but laughs right after. Sister Act! Yang Guo gripes while Yang Duo puts mud on her face. Yang Duo defends that it’s not mud but yellow dirt- the most natural skin moisturizer. Yang Duo reads the expiry date and is alarmed knowing that it’s one year expired. Yang Guo dismisses her worries, saying that muds don’t expire! Haha! Yang Duo reasons that if Yang Guo already agrees putting on a show, she must try doing a good show and advises that Yang Guo forgive Ke Zhong. Yang Guo is quick to retort that she never blamed him, only Yang Duo and Dad Yang were the one’s overreacting. Yang Duo replies that they’re just worried for her. She then asks if Yang Guo really liked her boss. Yang Duo holds her silence. And silence means yes right?! Yang Duo grows fretful and utters that her boss is hard to please and demands perfection in everything. She adds that Yang Guo can never win any argument coz he’ll put on the law, evidences and stuffs. Being with him, Yang Guo will either die in anger or exhaustion. Haha! Yang Guo honestly counters that it’s just how Yu Ping is at work. When not working, he is nice, warm, kind and caring. Everything’s clear and simple with him. She doesn’t need to know what he’s thinking because he openly says what he wants, not like Ke Zhong. Dreamy-eyed, Yang Duo voices out that Ke Zhong like that because he’s understanding and always puts other’s feeling in front of his. Yang Duo: When you’re with someone like him, you’d never have to worry about anything, because even if the sky were to fall, he’ll be there to hold it for you. Yang Guo notices the sudden change of breeze and asks why she seems to side Ke Zhong. Yang Duo is swift to deny and changes the topic, commenting that the mud has indeed expired for a long time.Yang Guo is frenzied washes off the mud. The next day: Yang Guo nags Dad Yang to hurry! And he appears looking like this. Haha! Of course, Yang Guo is outraged seeing his over-the-top costume. But he won’t be swayed and boasts that he was able to swindle a lot of people with the disguise. Yang Duo doesn’t seem to play along and demands that he change to a more normal outfit. Dad Yang seriously explains that he’s just dressing up to avoid being looked down by Qi Ma Ma. Yang Duo objects saying that Qi Ma Ma isn’t a person like that and if ever he’ll try weird things in front of her, she’ll tear his eyes out. Haha! Dad then text somebody. I guess that somebody is Yu Ping! Realizing that Qi Ma Ma looks like his late wife, Dad Yang is dumbstruck. He thanks her for the invitation, of which, Qi Ma Ma modestly replies that she should be the one thanking them for letting her son date Yang Guo. Dad Yang responds that his daughter is born with a naive and foolish personality. He mockingly adds that Prince Charming Ke Zhong on the other hand may have developed his unique personality from his mom or while he was growing up. It’s meant to be an insult but Qi Ma Ma thinks otherwise. She comments that people always treat each other with mutual understanding. And since Dad Yang admires Ke Zhong so much, Ke Zhong may respect him as much. Dad Yang is appalled but concedes. The future-in-laws take their seats. Qi Ma Ma openly admires Yang Duo’s beauty and even offers to help her find a boyfriend. Yang Duo kindly declines, saying that her career is more important to her. Qi Ma Ma insists that a girl should find happiness in marriage and family. And besides, Yang Guo doesn’t want to marry before she does. Just then, Yu Ping shows up hesitant and obviously, not in the mood to see the what he is about to see. Dad Yang, however, excitedly calls him out and happily introduces him as his godson! Haha! Dad Yang showers Yu Ping with admiring remarks, saying that Yu Ping has a kind heart and though he’s a lawyer, he would never think of weird ideas to hurt other people unlike others (a cruel innuendo to Ke Zhong). Dad’s overtones earned him a stomp on the foot. Yang Guo provides some backing and says that Dad means is though Yu Ping knows the law, he never lies or cheats others. Qi Ma Ma just then, has a rather odd idea to “tighten the bonds” between Yang Duo and Yu Ping. Huh! And so everybody feels quite uneasy, except for Qi Ma Ma of course. Haha! And what follows is rather awkward and quite distressing meal for the rest of the crew. Yu Ping casually remarks that Yang Duo is already his assistant. Yang Duo afffirms that Yu Ping doesn’t encourage personal relationships at work. Qi Ma Ma, however, is ready to defend and takes Ke Zhong and Yang Duo as a good example. She adds that Yu Ping and Yang Duo looks compatible together. The ever cool Yu Ping brushes the topic off and suggests a toast. Qi Ma Ma isn’t about to give up just yet and comments that the more she looks at Yu Ping and Yang Duo, the more they look like a couple. She jokes that she and Dad Yang may expect having grandchildren next year. Feeling embarrassed, Ke Zhong butts in and warns Qi Ma Ma to stop. After the meal, Yang Duo and Dad Yang are amused on how similar Qi Ma Ma is to Yang Ma. Dad Yang remarks that Qi Ma Ma reminds him of his wife’s elegance. Yang Duo worriedly asks if he has plans on pursuing Qi Ma Ma. But Dad is swift to deny and assures that his love for Yang Ma is beyond words and is irreplaceable. Qi Ma Ma then invites Dad Yang for a walk with the “couple”. All the while, Yu Ping remains to be in a foul mood. Dad Yang then guarantees that he’ll keep an eye on them. At the office, Yu Ping is unusually in a daze worrying and ends up slightly burning himself. Yang Duo reasonably advises that if he’s too worried, then he should just follow them. Yu Ping feebly denies his obvious anxiety, saying that Dad Yang is there to be on guard. But Yang Duo is rather unsure of her Dad’s loyalty and informs him that Qi Ma Ma looks like their mom and there is a danger that Yu Ping’s best ally may change sides. Meanwhile, the future-in-laws and future-married-couple walks along the sea sides of Dan Shui, enjoying the scene and the comfortable weather. Ke Zhong breaks the silence and apologizes for using much of Yang Guo’s time. Yang Guo kindly guarantees that she’s also enjoying the walk. Ke Zhong promises that he’ll tell Qi Ma Ma everything after her trip from Canada. The friendly conversation comes to a halt when Yu Ping calls. Yu Ping casually asks where they are. OH! Somebody’s going to be a stalker today! If it’s gonna be Jerry, then I don’t mind. 🙂 Yang Guo tells him their location but immediately hangs up when Qi Ma Ma called for her. And so Yu Ping starts his quest to find and “stalk” the ” fake couple”. The future-in-laws and the fake couple settles in a restaurant. Dad Yang brags about being the famed “sharpshooter Yang of Dan Shui”. Haha! As he brags, the fake couple looks like this. He demonstrates his skill and aims the cane at Ke Zhong’s left eye, saying that he can easily hit the left eye without damaging the other even if he’s 1 km away. Another innuendo for Ke Zhong! Haha! Yang Guo warns him though and shoves he’s cane. Qi Ma Ma, however, is amazed of Dad Yang’s impossible stories and asks that Dad Yang play a shooting game at the nearby arcade. The fake couple readies to join but Qi Ma Ma suggest thats they just stay and have a time alone. Dad Yang concedes but threatens Ke Zhong that he’s a sharpshooter. Somehow, Yang Guo already rises above her edgy feel and suggests that she order him his favorite drink, fresh milk latte without sugar. This strikes a chord and Ke Zhong muses that he didn’t expect that she’ll remember that. Yang Guo spells out that there’s no way she’ll ever forget coz it took her a long time to figure out how he likes his coffee and every time she asks him, he always reply “anything”. Ke Zhong: Perhaps I was just waiting for someone who could tell what I was thinking, without me having to say anything. That’s why even though it was just a coffee, I was really touched…perhaps…the person I was waiting for was you. Yang Guo: Qi Da Ge…the person I was waiting for already appeared. The person, who without caring whether I’m rich or pretty is gonna love me forever and really knows how to treasure me. So, I can’t let him pass me by. Ke Zhong: Don’t end up like me…feeling nothing but regret now that I let you pass me by. I don’t mind loosing against Yu Ping. Because I believe that he’ ll definitely knows how to treasure you more than I do. Yang Guo, I wish you much happiness. Right on cue, Dad Yang and Qi Ma Ma returns with the prize. It seems that Dad Yang is really a sharpshooter? Huh? Is this a joke?! Haha! Qi Ma Ma is a bit disgruntled on how the “fake” couple looks so “uncouple-like”. She takes action and forces them to hold hands. And so Ke Zhong and Yang Guo walks while holding hands. Just then, Yang Guo receives a text message from Yu Ping: “Hey! Didn’t I say that holding hands is a no-no!” Haha! Yang Guo nervously looks around. When Ke Zhong asks what she was looking for, she acts as if in a burning itch. Ke Zhong, somehow grasps that Yu Ping is just around and goads him further. He invites Yang Guo to have some fried ice cream. He mischievously wipes Yang Guo’s lips. And so, Yang Guo receives another jealous-coated text: “If you can hide in there to eat, at least wipe your own mouth”. Haha! Ke Zhong fuels Yu Ping’s jealous streak and puts his arm across Yang Guo’s shoulder. Haha! Yu Ping, hiding behind the tree, mumbles that Ke Zhong is a human in a beast disguise and gives him a phone call just to take his hands off Yang Guo. Ke Zhong , however, doesn’t seem to buy his lame excuses and loudly reminds Yu Ping that they already agreed on having a fair competition and hangs up. Yu Ping grumbles that Ke Zhong is the one who is not being fair for bringing the mom card. Yang Duo is overly jumpy and asks if Yu Ping mentioned that he’s nearby. Out of the blue, Ke Zhong asks if she wants to know how much Yu Ping loves her. Yang Guo is taken aback and doesn’t know how to react. Ke Zhong suddenly gives her a kiss on the cheeks. Before Ke Zhong could have a repeat performance, Yu Ping drags Yang Guo to his side and gets the kiss instead.The two guys were hilariously sickened and disgusted. Haha! Eeeewww! And just then Qi Ma Ma and Dad Yang sees the fuss. The trio is caught in action, and Ke Zhong bears the responsibility to explain everything to Qi Ma Ma later. Ke Zhong: “Seeing you guys happy, I’m as happy as the other guy”. Zhi Hao and Yang Duo time! While back riding, Yang Duo recalls her friendly advice to Ke Zhong to just give up the impossible pursuit. In voice over she says: “I’m really a coward.I can certainly tell other people to give up, but I can’t bring myself to get my head out of the clouds and take my own advice”. And a miracle happened. Yang Duo invites Zhi Hao to dinner! Zhi Hao is stunned, shocked, astounded, surprised. Haha! Should I use more words?! He suddenly stops driving and faces Yang Duo. Yang Duo: You don’t want to eat left-overs? Zhi Hao: I’ll eat…I’ll eat anything. Back to Yu Ping and Yang Guo. Yu Ping: Why aren’t you talking? Yang Guo: Didn’t I say “what” just now? Yu Ping takes a deep breath and teasingly bumps Yang Guo. Yang Guo: Hey! What do you want? Yu Ping: Give me your hand. Yang Guo:Why would I do that? Yu Ping: Hey! That’s just weird! You’re fake boyfriend can hold your hand but your real boyfriend can’t? Yang Guo: I was planning to go home today and let my anger cool off over night, but since you want to talk things out …Fine, let’s talk! You were following me today, why did you do that for? Are you out of your mind? Huh! *strikes. Do you have any idea of how very, very, very, very, very, very mad I am? Yu Ping: Were all those “verys” really necessary? I followed you because I want to protect you. Yang Guo: And why would I need to be protected? Let me ask you something, did Qi Da Ge hit me? Would he have been capable of hitting me? Would Qi Ma Ma bite me? Would she? *then bites him. Haha! Protecting me you said. I think it’s more like you don’t trust me. Yu Ping: The reason I can’t trust you is because you didn’t tell me the truth. Why didn’t you tell me that you were all meeting today for a lunch. Do you know what it means when two families meet together? Yang Guo: We were just putting on an act, okay? Yu Ping: What do you mean putting on an act? Yang Guo: Had I known that you’re going to react like this, I wouldn’t have told you anything!I’m so mad at you. Why don’t you stop and think about what you just did? Thanks to you, Qi Ma Ma found out the truth under horrible circumstances! Don’t you see how embarassing it was? Don’t you see how shameful it was? Why are you so bad! Yu Ping: I didn’t do it on purpose. Yang Guo: I’m really going to die of an anger attack…You bring the meaning of “being deliberately troublesome”on a whole new level. Yu Ping: Fine.Fine. Okay, I made a mistake, I’m sorry. But I only did it because I care about you. Yang Guo: If this type of excuse could really be used, what if I were to say that I wanted you to be on my back and call from now on cause I care about you? Would that be okay? Yang Guo: Then..then. what if I want to check your cell phone because I want to find out who has sent you a text message because I care about you? Would that be okay? Yu Ping: That’s not a problem. Yang Guo: Then..what if *And then Yu Ping cuts her rants with a kiss. Yu Ping: You know? When I saw Ke Zhong almost kissed you, my heart beats so fast that I thought I might die. *then kiss again. That day when you came to me to help you learn those magic tricks for Ke Zhong and you told me that you only held hands with him, I could have died from happiness. *then kiss again. I just care about you this much. If you feel like I do and cares for me this much too, I’ll gladly meet your demands whatever that might be. *then kiss again. So many kisses! *faints. At the Yang’s. Zhi Hao and Yang Duo are already done with the dinner. Zhi Hao volunteers to wash the dishes, but Yang Duo declines coz of some frugal issues. Zhi Hao is about to turn-on the TV but remembers that it’s a waste of electricity. Haha! He then looks around and sees the design book- the one that belongs to Lawrence aka Ke Zhong. Yang Duo somehow learns that he’s touching her “favorite” book and possessively grabs it, scolding him for getting it wet. Zhi Hao apologizes for not knowing the book is important to Yang Duo. Yang Duo denies and as proof , she snappily gives the book to Zhi Hao. But then again, she changes her mind and hesitantly ditches the book in the trash instead. Zhi Hao won’t be fooled and in no doubt declares that the book belongs to “that” person. Yay! And the moment I’ve been waiting for! Zhi Hao: I know what it feels like. I also had someone I liked so much, to the point that I treasure and kept every little thing that she left behind. Yang Duo: And why did you stop liking her? Zhi Hao: Because she had someone else by her side. Back then I truly believed that I’d never want to experience love for the rest of my life.I never imagine that six months later..*smiles…I would meet you. *Weeeeee….. That’s why…I believe that time will let you forget this pain too. Yang Duo: And how long will that take? Yang Duo: Sorry…Why am I being so silly? There’s absolutely no meaning in asking you this question. Zhi Hao: There is! Why wouldn’t it be? We could both work in finding the asnwer. For instance, I could do something fun with you whenever you’re sad. Whether it’s acting silly or even getting scolded by you…Because I’m sure like that you’ll be able t forget the whole thing much faster. Zhi Hao: Yes. Because I like you and that’s enough for me. Miss Yang please give me an opportunity. I’ll use all my strength to help you forget that person. *Yeeeeeeessss.. *then hugs. Qi Ma Ma is still depressed knowing that Yang Guo is already with Yu Ping. She finds it hard to accept though and blames Yu Ping for everything. Ke Zhong insists that he is at fault. Qi Ma Ma is rather adamant and reasons that it’s obvious the he likes Yang Guo, so he mustn’t let her go. Ke Zhong affirms the he does love her but concedes defeat: “Mom,I lost my chance with her and it’s time for me to congratulate them”. And so the next morning, Yang Guo is in super good mood. She wakes Dad and Yang Duo with a super loud alarm clock with a rather “blissfull ringing”. Haha! Everything’s upside down when in love. Yang Duo is super enraged when she recognize the clock. It so happens that she planned to it sell online. Just then, Yu Ping calls Yang Guo and Zhi Hao calls Yang Duo. Everybody is quite busy early in the morning! The two guys seems to be in one mind and brings breakfast for the family. Dad Yang is proud for the two guys. Dad Yang: My two sons-in-law certainly know how to respect their elders. We won’t have to worry for our meals anymore. *Haha! Yang Guo is super happy when Yang Duo confirms her relationship with Zhi Hao and becomes a bit melodramatic, sensing that Yang Duo is going to be married off. Actually she’s excited knowing her sister is about to take off with her future husband. Haha! The killjoy Yang Duo then demands Yang Guo find a decent job, and stop lazing around since she’s already happy with her love life! Haha! And so the future sons-in-law and the Yang family happily digs their breakfast. It’s a super nice scene actually! Is it me, or am I using the word “super” so many times already? Yang Duo reminds Yang Guo to find a job and went off to work with Zhi Hao. Yu Ping, somehow goes against the idea and offers to pay Yang Guo twice as much if only she’ll unemployed. Lucky! He worries that they’ll end up having no time for each other, just like what happened between him and Hui Fan.Yang Guo refuses to be a “parasite” and jokes at the thought of Yu Ping being a sugar daddy. Zhi Hao and Yang Duo arrive at the office. Just then, Staff C asks for the draft he made Zhi Hao write yesterday. Yang Duo seems to loath seeing the other staff makes a servant out of Zhi Hao and declares that they should not pass their work to Zhi hao anymore or else they’ll end up like papers cut into pieces. *for emphasis she tears the contract in two. Yang Duo: And if you are indeed unable to draft it yourself, it’ll be NT$ 5, 000 a piece! Haha! The rest of the staff is confused with her odd behavior and unbelievingly asks Zhi Hao if they are already together. The staff rejects the thought though and Staff C continues to demand that Zhi Hao send him the soft copy ASAP! Zhi Hao is not a bit startled and confirms that he and Yang Duo are indeed dating. However, NT$ 5, 000 is too much so he’ll just give them a friend discount and charge them NT$ 3, 000 only. Haha! Posted on May 27, 2010, in Down with Love, Taiwanese Drama/ Movies and tagged Down with love, Drama Recap, Ella Chen, Jerry Yan. Bookmark the permalink. 1 Comment.